What is the best pest control for Razberry Crazy Ants that are spreading across the Gulf states? That's a great question, for which there is no good answer. The "Tawny" Crazy Ant or better known as the Razberry Crazy Ant, is a very aggressive invasive ant that is best characterized as a as a force of mother nature similar to a storm or weather pattern that won't go away. How do you control the weather? You can't. How do you control millions and billions of ants that infest entire counties? You can't. The only thing you can do is to try and protect your home or buildling from infestation. This does not mean regular spraying of pesticides. This would disrupt the natural ecosystem and also pose a threat to your family or yourself from over exposure to pesticides. The single best "treatment" that I have found, is to use the KM Ant Pro System and place them outdoors around the house. The KM Ant Pro System actually utilizes a liquid ant bait "dispenser" that makes the bait available to the ants for weeks and months. The control is long term. 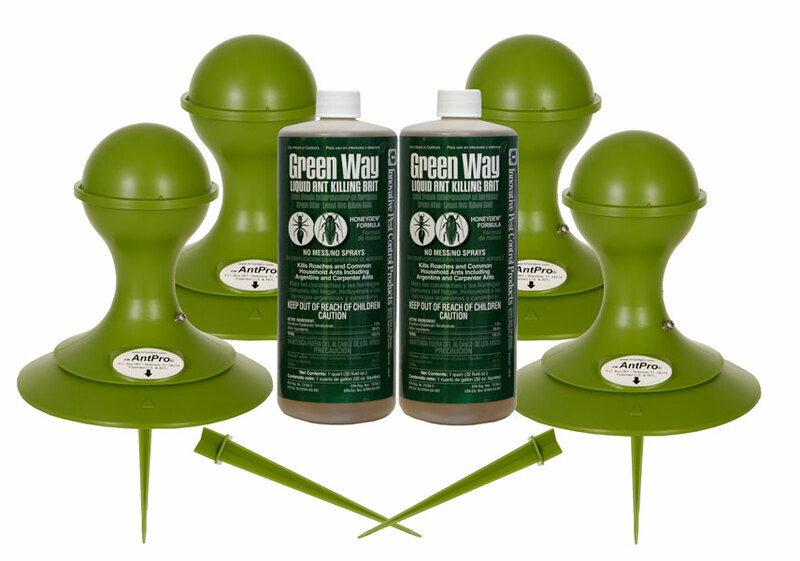 Not short term, but it does provide relief and eliminates the need for spraying chemicals. The other option is to use chemicals. Currently, the only products that give ANY control are the ones containing Fipronyl. These chemicals - Termidor, Taurus and Fuse offer the best results, although they are short term. They are only labeled for use on lawns in certain counties of South Texas. In most counties and states, the label is very restrictive and only allows treatment around the immediate perimeter of the home - up to 1 foot out from the foundation. This offers no control in the yard, or acreage areas. Pesticides in general have no affect on ants, other than only killing the exposed workers. The queens, kings, brood, etc, are usually not affected by pesticides because they are hidden and kept safe. Why do you think they have existed for 250 million years? As said before, the KM Ant Pro System has performed the best for the Tawny Crazy Ant, as attested to by our many thousands of customers. I personally would forget buying anything over the counter and wasting your money and time. We sell almost 1,000 products and have access to over 3,000 more. I think that if there were anything that controlled these ants, we would know about it.